If you run any sort of website at all, it’s likely that you have at least dabbled with Adsense. And if so, you may also have decided to give Adsense Auto Ads a try. And if you did try Adsense Auto Ads it may be that you regret it, and want to get rid of the damned things. Which turns out to be easier said than done. 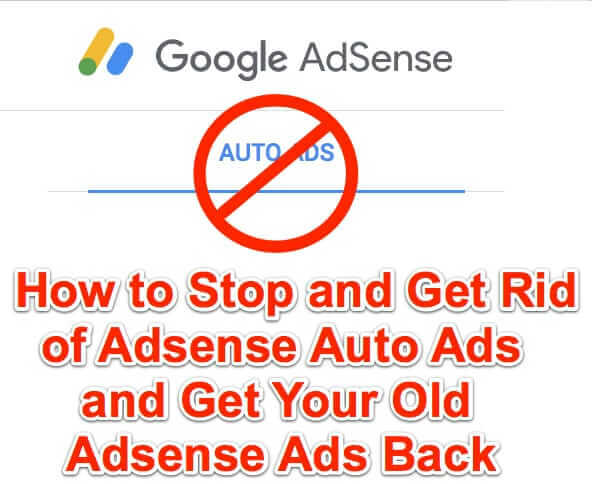 Here’s how to stop Adsense Auto Ads and get rid of them for good. 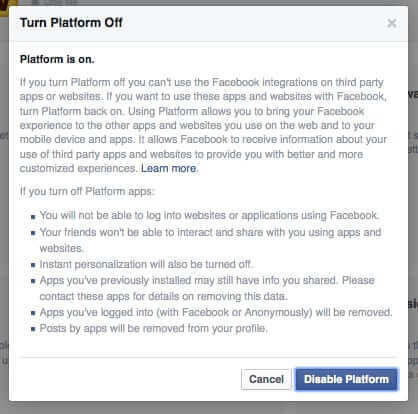 If you are wanting to turn off the new Facebook Messenger Day, you’re not alone. Messenger My Day is Facebook’s answer to SnapChat My Stories; it’s also annoying the heck out of a lot of Facebook Messenger users, with its ‘Add to your day’ in your face at the top of the screen. So, if you don’t want to ‘add to my day’, this is for you. 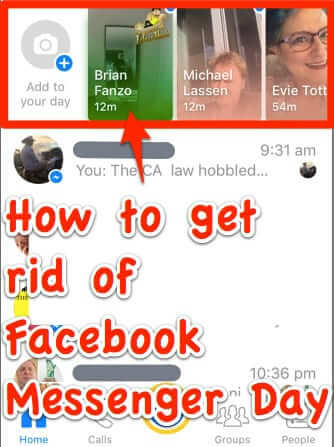 Unfortunately, the answer to how to turn off Messenger Day is ‘you can’t’..BUT, you can get rid of it entirely. Here’s how. Last month the Neitzel family of Dallas, Texas discovered that their 6-year-old daughter Brooke had ordered a doll house on Amazon by simply saying “Alexa, can you play dollhouse with me and get me a dollhouse?” But that’s not all. 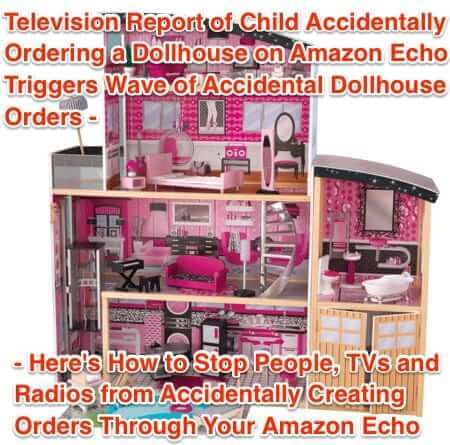 When this story was picked up and reported on San Diego’s CW6 (stay classy, San Diego), CW6’s anchor Jim Patton said, on air, “I love the little girl, saying ‘Alexa ordered me a dollhouse’,” triggering a legion of Amazon Echos in the San Diego area to attempt to order a dollhouse of their own. 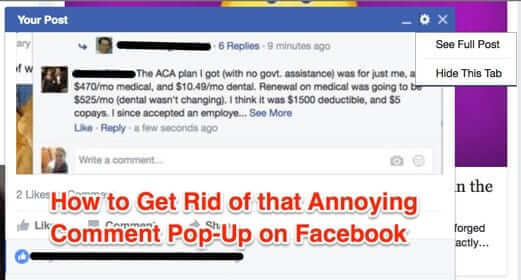 Once again, Facbook has “helpfully” added a new “feature” – this time it’s a pop-up window showing you new comments that are posted to something that you posted on your timeline. Here’s how to get rid of it. If you have started receiving spam iCal calendar invitations on your iPad or iPhone or Mac, you’re not alone. 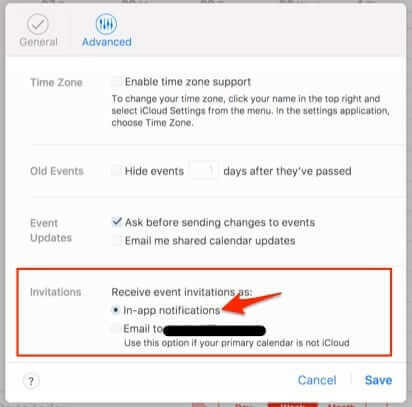 This is because of some change that Apple has made allowing spammers to send you ‘in-app’ iCal invitations for calendar events. Here’s how to turn that off. If you are like countless other users who are tired of autoplay videos on Facebook (and other websites), here is how to stop videos from automatically playing on Facebook and other sites, on your iPhone or Android phone, and in Firefox, Chrome, Safari, and even Internet Explorer (IE). 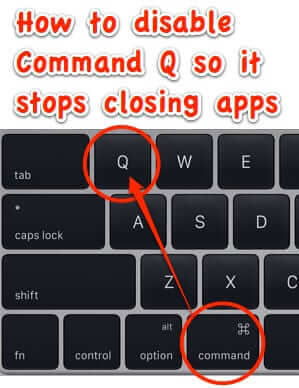 It’s annoying as all get out – you’re just in the middle of something – whether it be composing an email, or a really great rebuttal online – and you go to hit Command+A to select all, or Command+W to close a tab, but you accidentally hit Command Q (CMD-Q) instead, and lose it all in the blink of an eye. Argh! 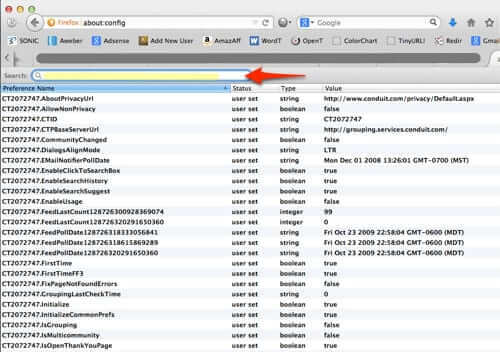 Here’s how to disable Command Q on your Mac to stop it from closing your programs. 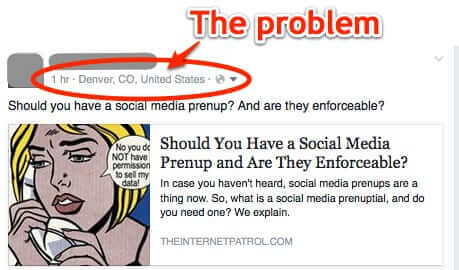 You may have noticed that Facebook recently started publishing the location from which you are posting when you post to Facebook via the web (with your browser), whether you want it to or not. And so you may be wondering how to stop Facebook from posting your location. Here’s how. 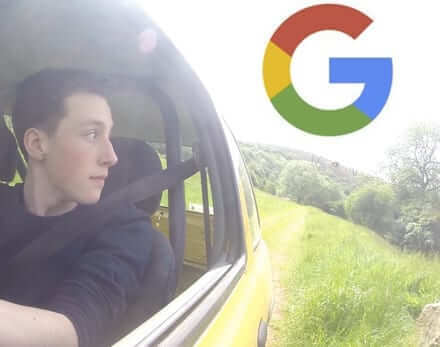 With Google’s announcement that businesses can now upload your email address to Google so that they can target advertising to you even more, a lot of you have been asking us “how do I stop Google ads from following me?” Here’s how to stop Google ads from following you around the Internet. 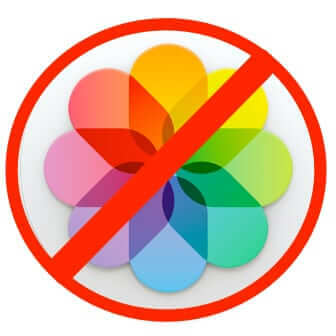 Frustrated that, since your last OS X update, Photos (formerly iPhoto) opens automatically whenever you connect your iPhone to your computer? Here’s how to stop Photos (iPhoto) from automatically launching when you connect your phone to your Mac or Macbook. 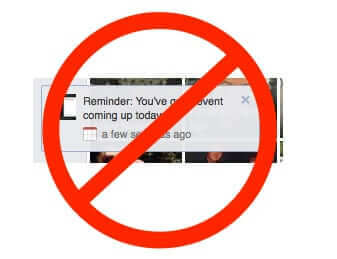 Here’s how to stop app invitations and game invitations on Facebook, and, relatedly, how to stop Facebook from sharing so much about you and your personal information (what Facebook euphemistically calls “instant personalization”, “customized experience”, and “receiving information about your use of apps and websites”). 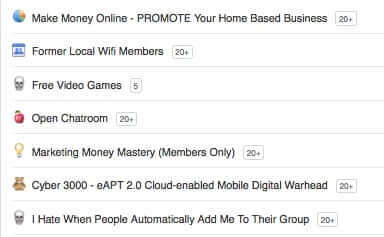 How frustrated are you that people can add you to Facebook groups without your permission? It’s pretty ridiculous that someone can add you to a Facebook group without asking you, and then it’s your responsibility to have to leave the group! Here’s what to do about it.